This pizza sauce is as easy and tasty as it gets! Homemade pizza sauce is sooo much easier than you might think! 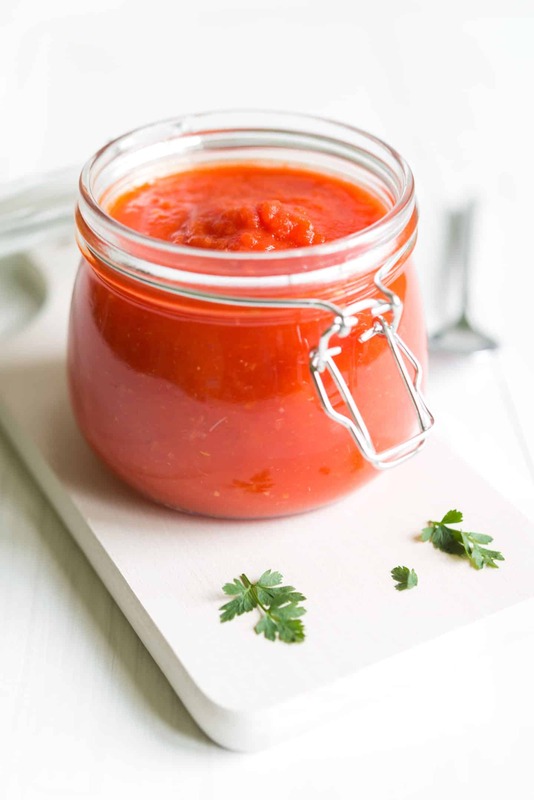 Skip the jarred sauce and make a tomato pizza sauce, garlic sauce, or try a pesto! All easy, delicious, and homemade! This is the classic homemade pizza sauce the whole family will love. Use it for your cheese and pepperoni pizza. Try mixing a bit of fresh chopped parsley or basil for a fresh touch! Mix all the ingredients together and use! Can you use pizza sauce for pasta? Sure, especially for kids. Pizza sauce and pasta sauce are made with primarily the same ingredients. A bit of brown sugar in the pizza sauce might tame it down a bit. Can I sub out tomato sauce if I don’t have any? Of course! About 3/4 cup of tomato paste to 1 cup of water and a bit of salt is one idea. 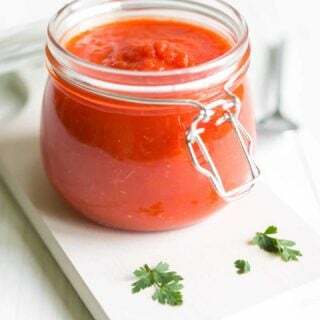 You could also blend out a cup of stewed tomatoes until smooth, add a bit of salt to that as well. 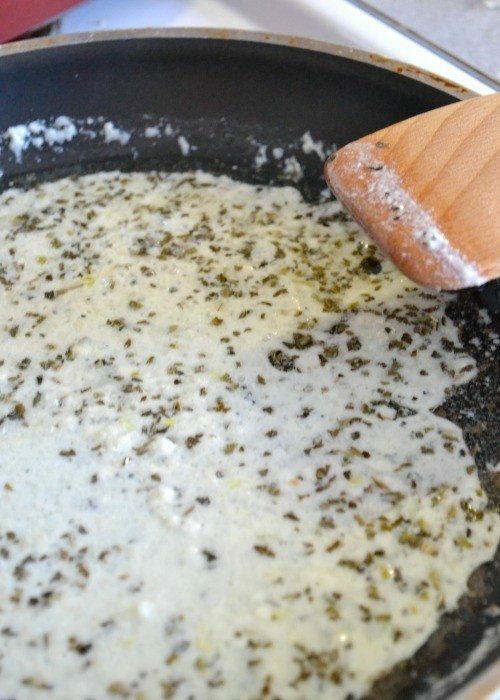 This is an easy garlic white sauce we use often. It is easy to make and utterly amazing! Try it with spinach and chicken! What kind of cheese goes best on a white pizza? Ricotta and mozzarella are good options for a white pizza. As well as parmesan. Avoid cheddar cheese or any of the yellows. A simple pesto can be delicious for sophisticated pizza’s. 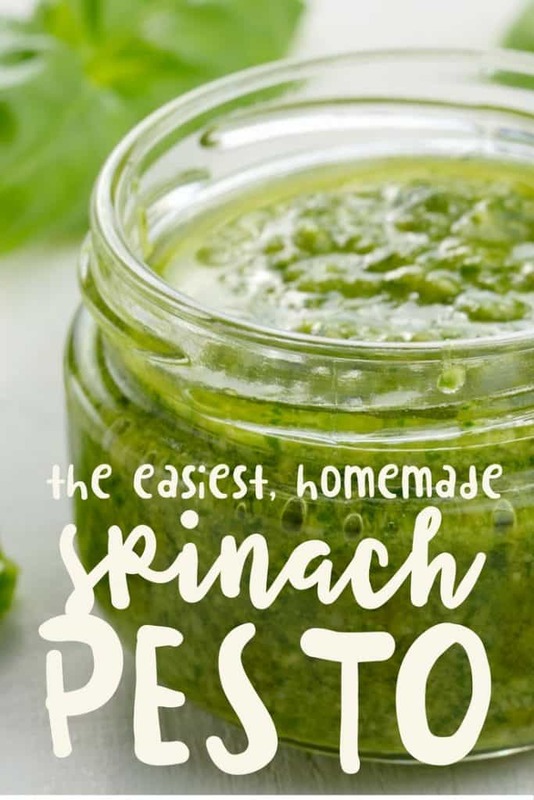 This one is made with spinach rather than basil keeping it budget friendly and a bit more friendly for little ones. Try pesto with fresh tomatoes and mozzarella! And don’t miss our list of pizza crusts for your homemade pizza! 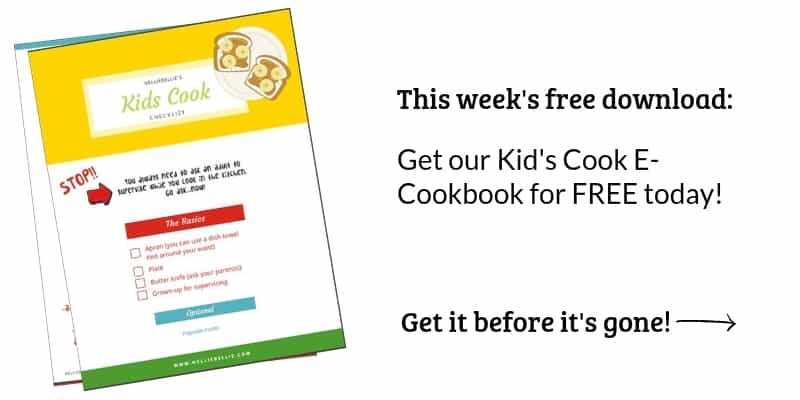 Cauliflower, no-yeast, gluten-free, traditional, and more!